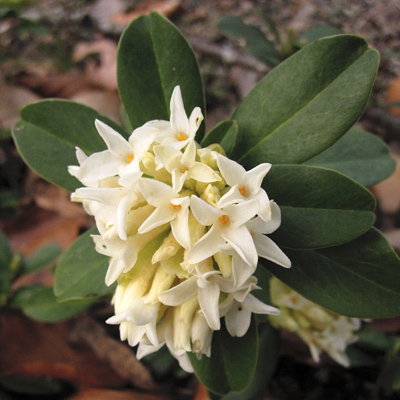 Daphne blagayana was discovered in 1837 on Polhograjska Gora near Polhov Gradec in Slovenia. The flower was named after Slovenian botanist Count Rihard Ursini Blagay, who lived in Polhov Gradec. 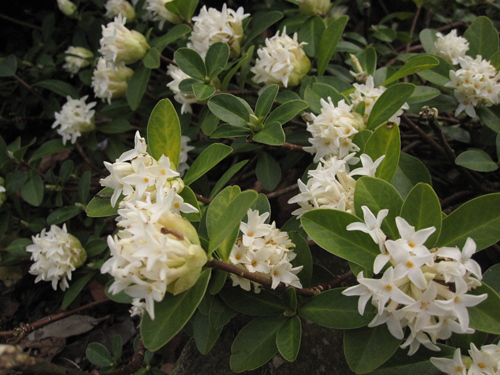 This species of daphne was first described by Henrik Freyer, and its habitat was visited by Frederick Augustus II, King of Saxony. Because of his visit the flower is also known as the royal flower. Thriving on limestone and dolomite, it is most frequently seen in alpine and subalpine regions. Daphne blagayana habitats are found as high as 1,900 metres above sea level. 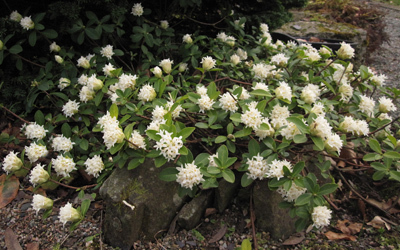 In Portglenone, where it was photographed in early March in June's garden, it is growing as a compact plant - often it tends to be straggly in habit - and is not demanding.